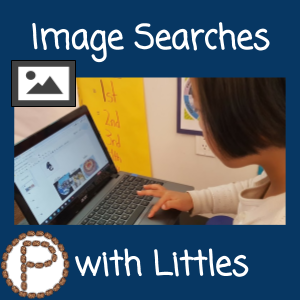 How awesome is it that Littles CAN search for images?! Considering that Littles are early spellers, it is super cool when they can start applying spelling patterns they have learned or even just trying to spell words into a search engine. A common concern that people express to me when I present is how to create filtered searches for Littles, or prevent inappropriate content from displaying when the kids perform a search. I don’t dismiss the fact that there is inappropriate content on the internet. This matter is not something we should be afraid of for our students. School districts have some type of filtering product to restrict some inappropriate content, but the bigger responsibility of educating the kids about what is and isn’t okay to use for school is up to the teachers. We need to develop a culture for students to know they might stumble upon something inappropriate, even if they weren’t searching for it. The choices students make after they see those images are what matter. 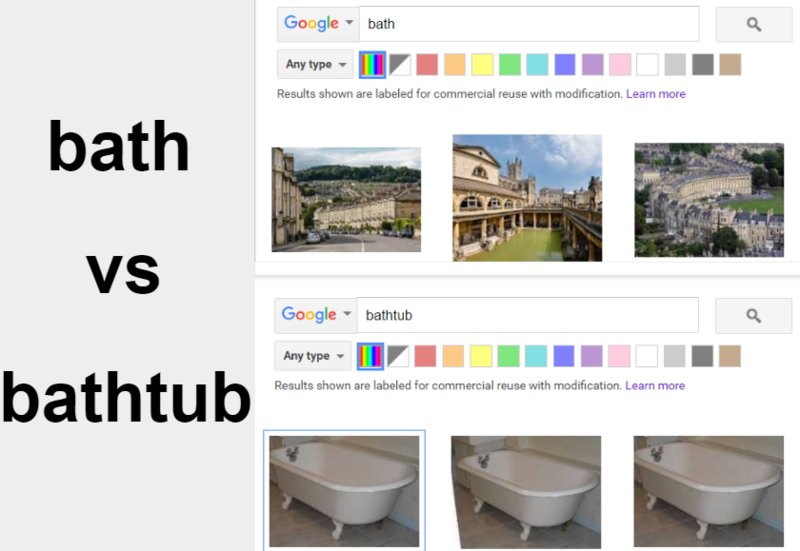 Since my kids have been performing more image searches, I have been able to observe them and come up with some tips to share. I’m going to talk to you about something that might happen to you when you are looking for pictures. You might find bad pictures of things that are not appropriate, or “okay”, for school. **insert little kids gasps here** Part of being a digital citizen is knowing what to do when you see those images. Sometimes big kids even have hard time knowing what to do, but you are going to know because we are talking about it now. You might find pictures of people doing bad things, breaking rules, weapons, and other stuff that is not appropriate for school. You have your brain, and you can use your self talk to ask yourself, “Is this a good idea or bad idea to put this on my work?” You don’t want to put bad things on your work, you want to be proud of your work. If you don’t know if an picture is bad you can think: “If Miss Pinto was behind me, would she be happy with me putting this on my work? If our principal was to see my work with this picture, would she like it?” If you think it’s a bad idea to look at the picture or put it on your work, just ignore it and move on! I know you can handle being in a situation like this. I am trusting you to make good choices. The kids, of course, wanted to share what their idea of what bad examples are and their comments to this topic. I welcomed the whole class dialog, and then they were off to work. The consequence in my classroom for misuse of technology is that the kids do not get to use their Chromebooks during free choice time. I reminded the kids of this rule after our discussion. 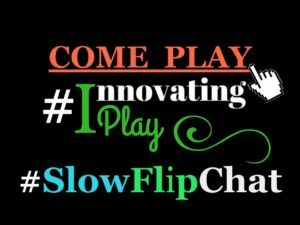 We cannot be naive and think that just because our kids are little, that they will not goof up and decide to insert inappropriate images, look something up to giggle about with peers, or even be off task playing games. Plan on it happening and know how you are going to react when it does happen. Don’t take away the device, that is their learning tool! Taking it away does not give them the opportunity to do better and learn from their poor choice. If it is an issue with an image, I suggest you hear the kid out first instead of blasting them for inserting a bad image. If you are working with older kids, remind them that revision history exists in Google Apps and that there are people who work in the technology office at the district who can monitor and track the their usage. Students can insert images within Google Apps. They can use the Insert menu and select image, or click on the image icon (better known as the mountain picture). Then all they have to do is click on Search, and boom there is a search engine. The nice thing about using the search engine within the Apps is that the results are limited to those that are “labeled for commercial reuse and modification.” This basically means the kids are allowed to use those images. In my opinion, this is huge in terms of developing digital literacy. In kiddo terms I’ve told my kids: If you search the word “kite” and a picture of a banana comes up, are you going to insert the banana? No, that would be silly. You need to be smarter than the computer and change your thinking. How else can you find that picture you are hoping to find? You will need to choose different words. This takes practice for kids, especially my Littles, but I am a crazy teacher who is glad they are running into these issues. I am there to coach them through the situation, or my kids who are more developed spellers can help themselves. My Littles are getting better with spelling phonetically (writing a word how it sounds). Unfortunately, the computer does not like phonetic spelling for searches. The kids were retelling The Three Little Pigs story using Storyboard That for a writing assignment, and the props they needed were not visible and needed to be searched. I had the kids brainstorm what words they would need to use: hay, stick, brick, door, etc. and wrote these words on the board with mini drawn images next to them. The kids referred to this list on the board and didn’t ask me for the spelling. Does this mean words are perfectly spelled in the search engine? No. The kids have been seen the messages about “no results found” for their search. They are learning they need to try again with the spelling. If given the choice, have your Littles use whichever devices and platforms they will be using when they are in upper elementary and beyond! There are kid safe search engines that exist, they are KidzSearch and Kiddle. I have nothing against those resources, however my students do not use them. I want my kids to know how to conduct a natural image search through the tools they use (Google Apps, Storyboard That, etc) and be tested to use their judgement about what is appropriate and not appropriate. By giving students an additional filtered search engine, we take away that conscious thinking piece that they need to practice. 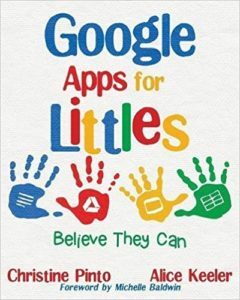 This entry was posted in Digital Citizenship, Digital Literacy by Christine Pinto. Bookmark the permalink.